St. Louis Fire Chief Dennis Jenkerson deemed the fire "very suspicious," adding that multiple fires were set throughout the building. ST. LOUIS — A firefighter was treated for dehydration while fighting a fire in north St. Louis early Friday morning. 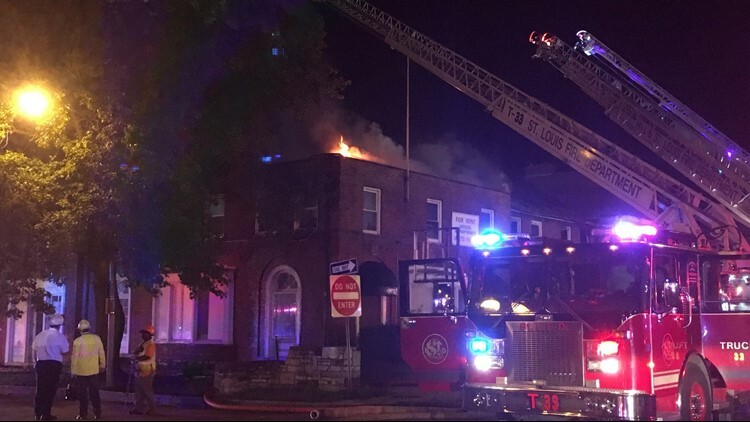 Just after 3 a.m., the St. Louis Fire Department responded to the 8700 block of Riverview Boulevard for reports of a fire at a two-story multi-use commercial building. There, firefighters found heavy fire and smoke coming out of the second floor, which quickly spread to the roof. The fire was soon upgraded to a second-alarm fire. One of the responding firefighters was treated then released for dehydration while on the scene.